From the 1810s, steamers have plied the west coast of Scotland. Many of the settlements along the coast had no road access and the only means of connecting them was by sea. With the advent of steam ships, it became possible to introduce timetabled voyages calling at many remote settlements and the larger towns of the highlands and islands. One company made the West Highlands and Islands its own and that was MacBrayne's. Other companies that served the area included McCallum and Orme, who merged to form McCallum, Orme and who pioneered the voyages to St Kilda that ultimately led to the island archipelago being evacuated. 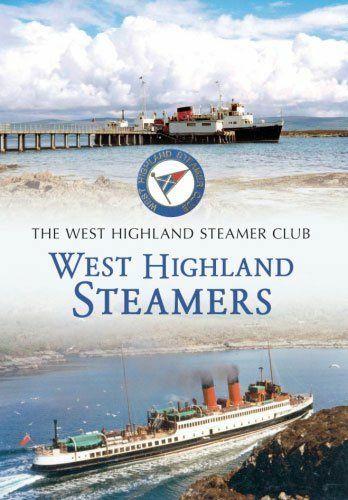 Using images from the West Highland Steamer Club collection, this book brings to life the last fifty or so years of travel by MacBraynes to the West Highlands and Islands. Superbly illustrated with the cream of the collection, every picture is a visual feast of the ferries and steamers of this most beautiful part of Scotland.